Publication: August 28, 2013 by Cinnamon Press. Then her mother confides in her: behind her parents’ apparently happy marriage was a secret kept for more than three decades. Isabel is staggered by the revelation. She is desperate to tell her sister, Grace, and her brothers, Rick and George. But her mother makes her promise to stay silent and the siblings have their own fractured lives to contend with. Against a back-drop of events that will devastate all their lives and amongst a maelstrom of emotion, breakdown, loss and competing claims, Lindsay Stanberry-Flynn weaves a careful and detailed story of how fragile people negotiate or fail to negotiate challenges and crises; keep secrets, fall apart or try to recover a sense of integrity in the midst of human mess. With meticulous attention to detail, portraits of people who are deeply flawed, but eminently understandable and superb use of objects as subtle metaphors for shared story, culture and expectation, this is an accomplished and compelling story. The most interesting part of being a writer for me is creating characters. I am fascinated by people, by their complexities, their strengths and vulnerabilities, the way they interact with others. The human condition is both wonderful and challenging, and to watch how people deal with it at various times in their lives largely fuels my desire to write. It’s necessary in fiction for characters to want something. That something doesn’t have to be big, but it has to matter a lot to the characters. It’s the writer’s job to put something in the way of the character getting what they want. So, a character on a diet (let’s call him Paul) wants to lose weight because he wants to start training for a half marathon. We’ve got the character’s want and their motivation for it. What we need now is the but – the conflict. If we send Paul on a work trip with an all-expenses paid buffet and bar, we’re putting him in a situation of conflict. Conflict drives fiction. Robert Mckee, the screenwriter, defines character as the choices we make under pressure. It’s when people are put in challenging situations and make critical choices that they show their true colours. I’m interested in putting my characters in situations of crisis and exploring how they cope. In ‘The Piano Player’s Son’, I knew I wanted to write about family relationships, inheritance and secrets. It didn’t take me very long to decide on a family of six, two parents and four grown up children, two brothers Rick and George, at either end of the family and two sisters, Isabel and Grace, in the middle. Henry dies at the beginning of the novel and Eva is sent into a downward spiral of grief at the abrupt ending of their long marriage. On the night of her husband’s death she reveals a thirty-five year old secret to Isabel, the consequences of which will affect all their lives with devastating results. I enjoy having more than one point of view character in my novels – I think it’s fun when readers can see into different characters’ heads – and in this case, I chose Rick, Isabel and Grace. I didn’t choose George, the youngest of the four, as I wanted him to be a more ‘unknowable’ character. But at the same time, I wanted his impact to be felt by all the characters in the novel. As well as coping with the death of their father, I gave each of my point of view characters further conflict to deal with. Isabel’s marriage has broken up and she is determined to get her family back together at all costs. Rick’s wife is ill, his business is struggling and his eldest daughter is proving difficult. Grace’s Italian husband, Franco, is desperate for them to have a baby, but Grace is not sure that’s what she wants. Each of them has their own fractured lives to contend with in the midst of the fall-out from their father’s death. Just before the launch of ‘The Piano Player’s Son’ in 2013, I was interviewed on local radio. The interviewer asked me who I saw as my main character, who I ‘hung my hat on’. I think that has to be Isabel. She certainly has a key role, as the first and last chapters of the novel are both from her point of view, and it’s to her that the mother reveals the secret. When I was at a book group recently, one of the members said ‘I’m talking about them as if they’re real people, and for me – they are! Lindsay is a novelist and short story writer. Her novel Unravelling was published in 2010. It has since won two awards, The Wishing Shelf Independent Book Award and Chapter One Promotions Book Award, and come second in the 2011 International Rubery Book Award. 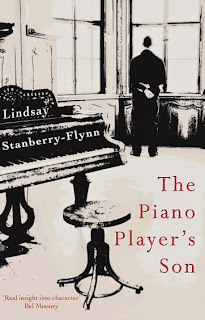 Lindsay’s second novel The Piano Player’s Son was published by Cinnamon Press in 2013. A number of her short stories have also been published or been successful in competitions, including the title story and two others in the Cinnamon anthology Feeding the Cat. After a career teaching English in further and higher education, Lindsay gave up full-time teaching in 2005 and studied for an MA in creative writing at Bath Spa University. She now combines writing with her work as a creative writing tutor, running courses and workshops mainly on the novel and short story. 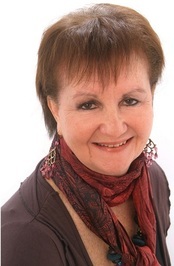 She is involved with the Worcestershire Literary Festival, judging a flash fiction competition for the 2012 festival and editing an anthology A Flash of Fiction. Lindsay is working on her third novel.